Nearly 20 years ago, I recall streaming data off of oil and gas wells in order to measure capacity, reserves, and shrink. For all intents and purposes, data was used used to manually repair a well by humans. What we call big data today we used to call very large databases or VLDBs. Big Data 2.0 is really a rebranding into the Internet of Things (IoT) or the Analytics of Things (AoT). One thing that has remained the same throughout this shift is that it all comes down to return on investment. At this point we are all aware of the potential of IoT, but are we thinking about how design plays a major role in its success and efficiency? This is where Design of Things comes into play. Teradata Labs president Oliver Ratzesberger has a vision for the future that he calls the “Sentient Enterprise.” His vision far exceeds our current mindset and will require an adaptable infrastructure be it a company, a website, an automobile or a power grid. Data will transform the way we build and construct things. We will need to make things that can be easily recycled, repaired or optimized. In order for the vision of IoT or AoT to realize ROI, we must put it to work through adaptive change in our everyday things. We must consider the Design of Things in order for IoT to realize any real value, or it will fail. As you begin building your new IoT infrastructure keep these four design concepts in mind. In the past 20 years we have done an amazing thing with software development. We have resolved everything into objects. Objects are polymorphic, reusable, replaceable, adaptable and removable. We must consider this software design approach into how we design our physical world. Plug and play is absolute. Gone are the days of complex systems where only human construction and support is required. Our engineers must build things that can be easily repaired by other machines in order to operationalize IoT. Analytics will instruct an autonomous repair unit to change a part before it fails. Machines that are able to repair other machines is only possible when humans design things to be easily removed and replaced by machines. In the good old days, we used to give a basic requirement of physical components. Take for instance an automobile engine. An automobile engine is made up of things: pistons, oil pumps, fuel injectors and the list goes on and on. Engineers were given physical specifications of how to make the disparate components work together to form the engine. Having worked with engine manufacturers in the past I know that the engineers were not given formal sensor data specifications for those components. This is where the four letter word comes into play. 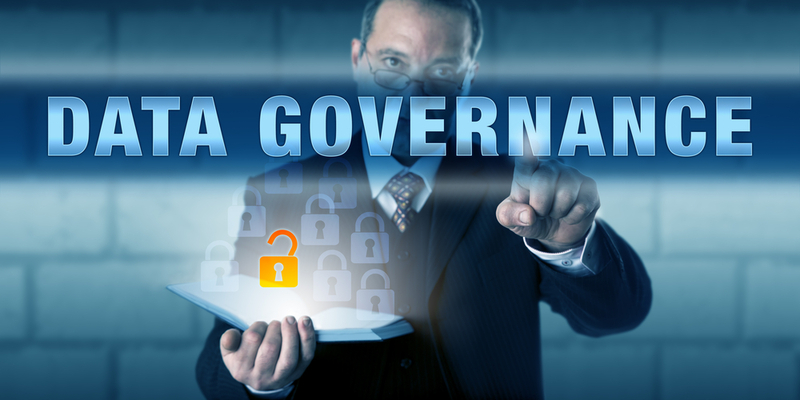 Without data governance, their designs are incomplete. The future of component design will not only include the physical design, but also the data requirements of design so that IoT and AoT can be useful. It is all about the integration of data between parts that make up things. Today it is a very difficult data problem to take sensors off of a motor and analyze a path of what actually caused that part to fail. If we applied data governance design to our engineering, or things, we could greatly increase our analytic understanding of root cause failures in a complex system. This is the first level of maturity our new engineers must reach in order for the Design of Things to realize their value. Nothing is permanent in the future. Everything will be reduced to its simplest form like building blocks and materialized for a new purpose, or function, in real time. These building blocks can be made into anything that is necessary for the purpose of IoT and human needs. For example, I am sitting on my deck looking at a chair that is not being sat in. This chair serves no purpose. Its raw materials are not being utilized, therefore it is a waste of assets. The need for the chair defines its purpose, not the chair itself. The components of the chair could be used for another useful purpose and decomposed into its basic forms, and turned into something else. With the invention of 3D printers this is a very real concept as this technology will continue to improve and commoditize. This is a new way of thinking about our future world and our Design of Things. Machines must be designed so that they are able to repair themselves, much like a wound heals in the human body. The human body and machines will become very similar. Your body has a homeostatic capability to regulate your health and vitals. Machines will become homeostatic, sentient, lifelike and adaptable. Engineering will have to change to think of designs that are biologically constructed. For instance, power grid fans already know how to automatically regulate temperatures within data centers. What if we took it a step further? In the future if my power grid fan breaks, the part will re-generate much like a lizard regenerates its tail when it falls off. The broken fan will be reduced to create a new fan in real time. The Design of Things will require that everything can be broken down and repurposed based on real-time demand of use or repair. Parts will not be inventoried, they will be produced as they are needed. In the future the need for permanent anything is greatly reduced. This will have a substantial impact on the way our economy works as asset efficiency will be greatly optimized. The only permanent things will be people and the raw materials that form complex things at real time. In order to makes these scenarios a reality, the way we design our industrial infrastructure needs to change. As we continue to experiment with analytics and IoT, we will learn that optimizing our production environments holds the most potential for efficiency. About the author: John Thuma is currently the Director of ASA Data Sciences Team at Aster, which is owned by Teradata. Thuma’s team supports global data science customers.